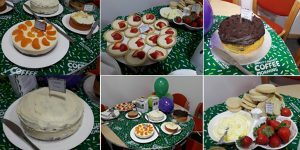 Well done to everyone who baked or faked last Friday in aid of Macmillan Cancer Support. The cakes were fabulous and extremely yummy, some were even worthy of an appearance on the Great British Bake Off! So far we have raised a massive £130 in total!